Hey folks, This is le-jester over here. I am here to share a few Extra spoilers, decklist of the SchwarzChild Dragon build that you might want to play with link jokers. 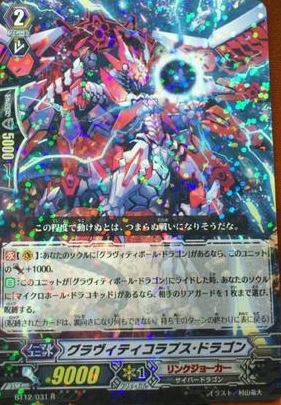 [ACT] (VC) Limit Break 4 (This ability is active if you have four or more damage):[Counter Blast (3) & Choose a card named "Schwarzschild Dragon" from your hand, and discard it] Choose up to three of your opponent's rear-guards, lock them, and this unit gets [Power]+10000/[Critical]+1 until end of turn. (Locked cards are turned face down, and cannot do anything. Turn them face up at the end of its owner's turn) [AUTO]:[Counter Blast (1)] When this unit is placed on (VC), you may pay the cost. If you do, look at up to five cards from the top of your deck, search for up to one card named "Schwarzschild Dragon" from among them, reveal it to your opponent, put it into your hand, and shuffle your deck. [CONT]:If you have a card named "Gravity Collapse Dragon" in your soul, this unit gets [Power]+1000. Whoa... Lock 3 cards. Triangle lock and ya GG.com Persona blast? Seriously? Its way too counterblast heavy. A chain ride ride for LJ. Its been time chain ride got respawned into the meta after being on hiatus and unpopular for so long. 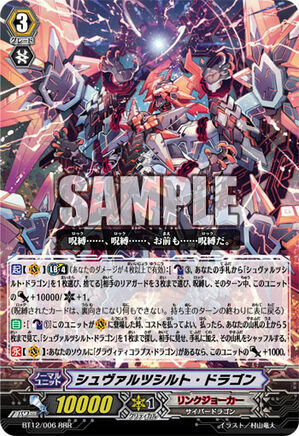 [CONT](VC): If you have a card named "Micro-hole Dracokid" in your soul, this unit gets [Power]+1000. 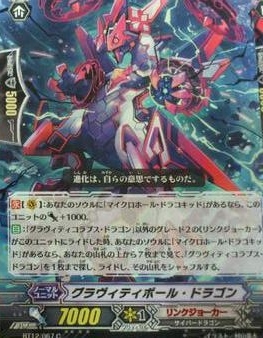 [AUTO]: When a grade 2 «Link Joker» other than a card named "Gravity Collapse Dragon" rides this unit, if you have a card named "Micro-hole Dracokid" in your soul, look at up to seven cards from the top of your deck, search for up to one card named "Gravity Collapse Dragon" from among them, ride it, and shuffle your deck. 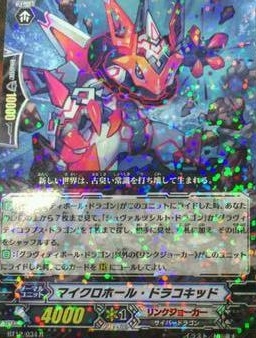 [AUTO]: When a card named "Gravity Ball Dragon" rides this unit, look at up to seven cards from the top of your deck, search for up to one card named "Gravity Collapse Dragon" or "Schwarzschild Dragon" from among them, reveal it to your opponent, put it to your hand, and shuffle your deck. 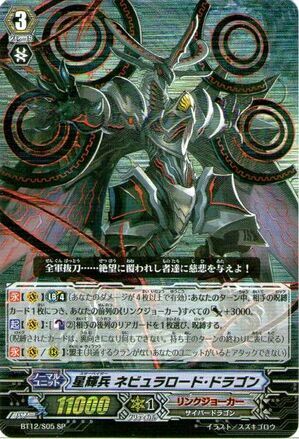 [AUTO]: When a «Link Joker» other than a card named "Gravity Ball Dragon" rides this unit, you may call this card to (RC). Here is my decklist for Schwarzchild dragon. This deck focuses on locking your opponent consistently every turn and gain pluses via the chain ride. Reason why I played Lanthanum is its a 9k booster when your opponent has a locked rearguard. I also picked One Who Opens the Black Door for consistency and speed in getting the extra copy of SchwarzChild Dragon ASAP and to hasten the process. Gravity Collapse is an effective card that locks your opponent units freely without any counterblasts. Which is the prefered card to play over a mobius breath whose condition is harder to fulfill. Fenrir for a 11k beatstick and Singularities for Further Pressure. This deck focuses on Riding IZD as your grade 3 over SZD. As it helps to buy you time to stock up the other piece and do a devastating persona blast later on. This deck doesn't uses much counterblasts at all with exception of SZD for the "Final Turn" and the triangle lock. This deck is quite fast ya may say with the chain ride. However every chain ride has only ONE major weakness which will cause it to lose to itself which is missing the chainride.